Juan’s House of Tacos is proud to bring authentic Mexican cuisine to Thayne, Wyoming. Delicious, home-made recipes, exceptional customer service and our wonderful returning customers have helped bring us to our seventh successful year, with many more still in store. 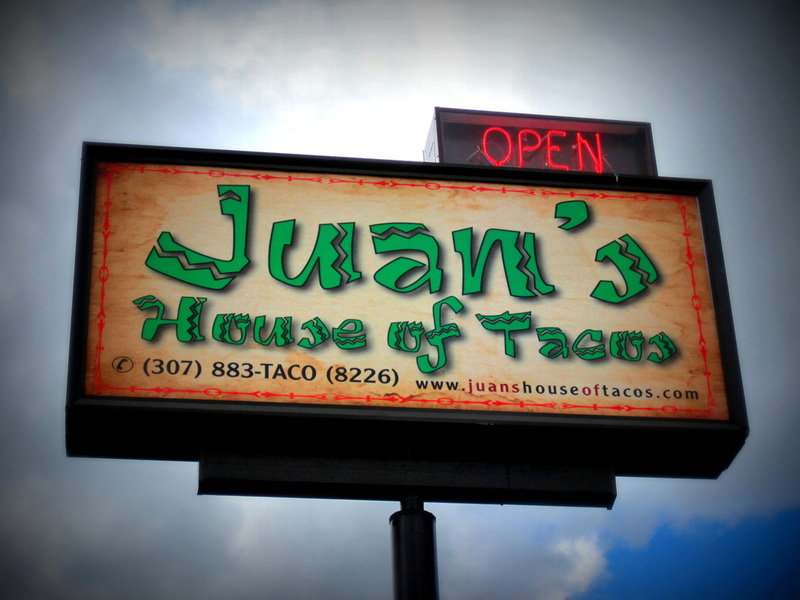 Juan’s House of Tacos began in 2007 with a dream to build our own genuine Mexican restaurant using our own traditional recipes. The vision became a warm, welcoming local restaurant featuring fabulous dishes and a rich, relaxed atmosphere for all to sit down and enjoy. We use crisp, fresh ingredients for all our dishes and add our own zest to kick up the flavor in every meal. Cooking is our passion, and we pride ourselves on each one of our signature recipes, from our namesake tacos to our sizzling fajitas, mouthwatering shrimp, stacked enchiladas and much more. Juan’s House of Tacos is a fun, enjoyable and delicious restaurant with favorites for the whole family. Come down to see us today for a taste of true Mexican cooking.